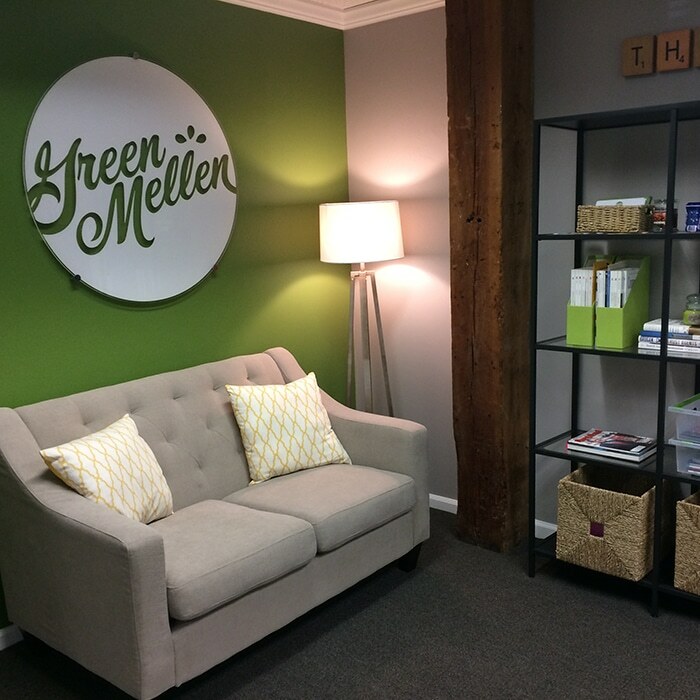 Our studio is located in the Denmead Building of Marietta Station, near the Brickyard and Trolley Station. When visiting us, please park in the Marietta Station parking lot at the front of the building. You will be facing the brick wall of the Brumby Building. Simply follow the wall to the left and enter via the first flight of stairs. Our office is 285, just down the hall. As you’re approaching 123 Church Street, look for this large green “Marietta Station” sign on your right. Turn in there and park in the lot immediately on your left. Walk roughly 50 yards to this small flight of stairs, and enter the door at the top. Our office is 285, just down the hall. See you soon!